The prices in this deal round up were accurate as of 2019-04-09 09:40 EST. The prices may have changed since then. 44% OFF Epson – WorkForce DS-40 Wireless Portable Color Sheetfed Scanner – Black: You can get this for only $99.99 here and it’s normally $179.99 at Best Buy. 75% OFF Duck Brand Standard Window Air Conditioner Cover, 27-Inch x 18-Inch x 25-Inch, 283581: You can get this for only $1.50 here and it’s normally $6.07 at Amazon. 61% OFF Modern Table Mac & Chees Lentil Cheddar, 6.7 oz: You can get this for only $2.09 here and it’s normally $5.36 at Amazon. 58% OFF Slime Tire Sealant Tire Pressure Monitoring System Safe 24oz – 10164: You can get this for only $4.04 here and it’s normally $9.74 at Walmart. 55% OFF Dash DEC012BK Deluxe Rapid Egg Cooker Electric for for Hard Boiled, Poached, Scrambled, Omelets, Steamed Vegetables, Seafood, Dumplings & More 12 Capacity, with Auto Shut Off Feature Black: You can get this for only $17.99 here and it’s normally $39.99 at Amazon. 49% OFF West Bend 8231 Stir Crazy Deluxe Electric Hot Oil Popcorn Popper Machine with Removable Heating Plate for Easy Cleaning Offers Large Lid for Serving Bowl & Convenient Storage Red: You can get this for only $33.99 here and it’s normally $66.81 at Amazon. 50% OFF Hasselblad – True Zoom Camera for Motorola Moto Z: You can get this for only $99.99 here and it’s normally $199.99 at Best Buy. 51% OFF Cat CT4200 220 Lumen Focusing Beam LED Headlamp with Adjustable Angle Head (Black): You can get this for only $16.86 here and it’s normally $34.99 at Amazon. 51% OFF Skip Hop Baby Treetop Friends Soft Activity Book, Grey Pastel (Recolor), Multi: You can get this for only $7.33 here and it’s normally $15.00 at Amazon. 44% OFF Melissa & Doug Stained Glass Made Easy Activity Kit: Mermaids – 140+ Stickers: You can get this for only $11.19 here and it’s normally $19.99 at Amazon. 52% OFF Melissa & Doug Let’s Play House! Stainless Steel Pots & Pans Play Set for Kids Construction, 8 Pieces, 13” H x 6” W x 6” L): You can get this for only $14.25 here and it’s normally $29.99 at Amazon. 43% OFF Ashley Furniture Signature Design – Vachel Queen/Full Panel Headboard – Component Piece – Dark Brown: You can get this for only $135.79 here and it’s normally $239.00 at Amazon. 41% OFF Baby Jogger 2016 City Select Single Stroller – Teal: You can get this for only $309.99 here and it’s normally $529.99 at Amazon. 62% OFF Loopin’ Louie – Interactive Family Board Game for Kids Ages 4 and Up: You can get this for only $7.50 here and it’s normally $19.99 at Amazon. 49% OFF Sunjoy Replacement Canopy Set (Deluxe Fabric) for 10x12ft Wicker Gazebo: You can get this for only $89.99 here and it’s normally $178.99 at Amazon. 50% OFF GOtrio Game by Marbles Brain Workshop, Travel Game for Players Aged 8 and Up: You can get this for only $4.99 here and it’s normally $9.99 at Amazon. 44% OFF HOUSEWORKS 67140 18″ Lx12.5 Wx9.5 H Large Crates & Pallet Wood Crate: You can get this for only $7.00 here and it’s normally $12.58 at Amazon. 42% OFF Americana Building Products Aluma Line Awning, 34-1/2 by 48-Inch: You can get this for only $157.49 here and it’s normally $274.67 at Amazon. 46% OFF Hopkins 17529 SubZero Heavy Duty ArcticGuard Snow and Ice Universal Windshield Cover: You can get this for only $8.23 here and it’s normally $15.49 at Amazon. 43% OFF Roller Derby Boy’s Laser Speed Quad Skate, Size 03: You can get this for only $26.99 here and it’s normally $47.99 at Amazon. 49% OFF Earth’s Best Organic Stage 3 Baby Food, Cheesy Pasta with Veggies, 3.5 oz. Pouch (Pack of 6): You can get this for only $6.78 here and it’s normally $13.39 at Amazon. 80% OFF Starlink Battle For Atlas – Xbox One Starter Edition: You can get this for only $14.36 here and it’s normally $74.99 at Amazon. 60% OFF Planet Earth II [Blu-ray] : You can get this for only $14.99 here and it’s normally $37.99 at Best Buy. 66% OFF Planet Earth II: You can get this for only $14.99 here and it’s normally $44.95 at Amazon. 58% OFF Stomple Game by Marbles Brain Workshop, Fun Strategy Game for Kids Aged 8 and Up: You can get this for only $12.50 here and it’s normally $29.99 at Amazon. 46% OFF Stella Artois 2018 Limited Edition Philippines Chalice, 33cl: You can get this for only $6.96 here and it’s normally $13.00 at Amazon. 53% OFF Smith 190285 1-Gallon Bleach and Chemical Sprayer for Lawns and Gardens or Cleaning Decks, Siding, and Concrete: You can get this for only $11.52 here and it’s normally $24.99 at Amazon. 45% OFF 2x4basics Shed Kit with Barn Roof: You can get this for only $48.66 here and it’s normally $89.99 at Amazon. 67% OFF Thames & Kosmos Physics Workshop: You can get this for only $17.99 here and it’s normally $54.95 at Amazon. 66% OFF EastPoint Sports 40mm Table Tennis Balls: You can get this for only $1.99 here and it’s normally $5.99 at Amazon. 64% OFF Africa [2 Discs] [Blu-ray]: You can get this for only $9.99 here and it’s normally $27.99 at Best Buy. 66% OFF de Blob 2 – Nintendo Switch: You can get this for only $9.99 here and it’s normally $29.99 at Best Buy. 46% OFF Caribou Coffee – 5-Cup French Press – Clear: You can get this for only $15.99 here and it’s normally $29.99 at Best Buy. 42% OFF Echo Input â€“ Bring Alexa to your own speaker- Black: You can get this for only $19.99 here and it’s normally $34.99 at Amazon. 77% OFF Bluetooth Headphones, BassPal TonePro U14 Wireless Sport Earphones Waterproof IPX7, w/Mic Richer Bass HD Stereo Sweatproof In Ear Earbuds for Gym Running Workout 9 Hrs Battery Noise Cancelling Headset: You can get this for only $22.99 here and it’s normally $99.99 at Amazon. 67% OFF LaCroix Sparkling Water, Lemon, Lime, & Grapefruit Variety Pack, 12oz Cans, 24 Pack, Naturally Essenced, 0 Calories, 0 Sweeteners, 0 Sodium: You can get this for only $2.56 here and it’s normally $7.88 at Amazon. 50% OFF The Martian: Extended Edition [Blu-ray]: You can get this for only $9.99 here and it’s normally $19.99 at Amazon. 48% OFF Aerobie Pro Ring Disc: You can get this for only $6.76 here and it’s normally $13.19 at Amazon. 50% OFF SKILSAW SPT67WMB-01 15 Amp 7-1/4 In. Magnesium Sidewinder Circular Saw with Brake: You can get this for only $74.49 here and it’s normally $149.00 at Amazon. 53% OFF Sylvania Smart Home 72922 Sylvania LIGHTIFY Smart Plug, 1 Pack, White: You can get this for only $11.71 here and it’s normally $24.99 at Amazon. 56% OFF Special K Protein Meal Bars, Strawberry, Value Pack, 19 oz (12 Count): You can get this for only $5.49 here and it’s normally $12.53 at Amazon. 41% OFF Kershaw Cinder (1025X) Multifunction Pocket Knife, 1.4-inch High Performance 3Cr13 Steel Blade with Stonewashed Finish, Glass Filled Nylon Handle, Liner Lock, Bottle Opener, Lanyard Hole, 0.9 OZ: You can get this for only $6.39 here and it’s normally $10.99 at Amazon. 44% OFF Daawat Ultima Extra Long Grain Basmati Rice, 2-Years Aged, 10lbs: You can get this for only $13.91 here and it’s normally $24.99 at Amazon. 45% OFF Rotary Tool Set Meterk Electric Grinder with 85pcs 6-Speed Variable Speed Electric Drill Grinding Rotary Tool Kit for Milling Polishing Engraving Sanding Sharpening Carving: You can get this for only $35.97 here and it’s normally $65.97 at Amazon. 55% OFF Scott 67805 100% Recycled Fiber JRT Jr. Bathroom Tissue, 2-Ply, 1000ft (Case of 12): You can get this for only $31.39 here and it’s normally $70.27 at Amazon. 62% OFF Kung Fu Panda: 3-Movie Collection [Blu-ray]: You can get this for only $14.99 here and it’s normally $39.98 at Amazon. 45% OFF Eucerin Eczema Relief Cream – Full Body Lotion for Eczema-Prone Skin – 8 oz. Tube: You can get this for only $6.89 here and it’s normally $12.59 at Amazon. 47% OFF Sharpie Liquid Highlighters, Chisel Tip, Assorted Colors, 10 Count: You can get this for only $6.50 here and it’s normally $12.49 at Amazon. 42% OFF Biofreeze Pain Relief Gel, 3 oz. Roll-On, Fast Acting, Long Lasting, & Powerful Topical Pain Reliever, Pack of 2: You can get this for only $11.00 here and it’s normally $18.99 at Amazon. 50% OFF Just Dance 2019 – Nintendo Switch Standard Edition: You can get this for only $19.99 here and it’s normally $39.99 at Walmart. 48% OFF Dual Electronics XC16SP High Resolution LCD Single DIN Car Stereo Receiver with Built-In Bluetooth, USB, MP3 Player & Two 2-Way High Performance 50 Watt 6.5-inch Car Speakers: You can get this for only $18.00 here and it’s normally $35.00 at Walmart. 74% OFF Presto EverSharp electric knife sharpener 08800: You can get this for only $24.97 here and it’s normally $99.00 at Walmart. 45% OFF Dell 32″ FHD Monitor D3218HN, 1920 x 1080, 8 ms, 60 Hz, VESA, Ultra-Wide 178/178 Viewing Angle: You can get this for only $164.00 here and it’s normally $299.00 at Walmart. 45% OFF Sceptre 50″ Class 4K Ultra HD (2160P) LED TV (U515CV-U): You can get this for only $219.99 here and it’s normally $399.99 at Walmart. 47% OFF Steve Silver Co. Diletta Foosball Cocktail Table: You can get this for only $279.10 here and it’s normally $529.00 at Walmart. 49% OFF Straight Talk Apple iPhone 6s Prepaid Smartphone with 32GB, Space Gray: You can get this for only $149.99 here and it’s normally $299.00 at Walmart. 50% OFF Mega Moto 212cc Mega Max Mini Bike: You can get this for only $399.00 here and it’s normally $799.00 at Walmart. 47% OFF MD Sports Premium Air Powered Hockey with Portable Poker Mat, Strong Air Flow, Includes High Quality Pushers and Pucks: You can get this for only $445.00 here and it’s normally $850.89 at Walmart. 65% OFF Bounce Pro Battle Zone 8 x 14-Foot Double Trampoline, with Enclosure, Orange: You can get this for only $174.00 here and it’s normally $499.99 at Walmart. 43% OFF Reese Carry Power U-Venture 48″ Round Rooftop Cross Bars: You can get this for only $45.08 here and it’s normally $79.96 at Walmart. 75% OFF Tools of the Trade 7.5 Qt. Covered Wok, Created for Macy’s: You can get this for only $14.99 here and it’s normally $59.99 at Macys. 81% OFF Kenneth Cole Reaction Men’s Pebbled Messenger Bag: You can get this for only $29.99 here and it’s normally $160.00 at Macys. 83% OFF Alfani Men’s Fashion Ribbed Bomber Jacket, Created for Macy’s: You can get this for only $22.96 here and it’s normally $139.50 at Macys. 65% OFF Quiksilver Men’s Worldwide Thermal-Knit Logo Graphic T-Shirt: You can get this for only $11.13 here and it’s normally $32.00 at Macys. 82% OFF Van Heusen Men’s Classic-Fit Micro Houndstooth Dress Shirt: You can get this for only $7.96 here and it’s normally $45.00 at Macys. 62% OFF Fruit of The Loom Men’s 3-Pk. Limited Edition Boxer Briefs: You can get this for only $11.99 here and it’s normally $32.00 at Macys. 69% OFF Calvin Klein Slim-Fit Solid Dress Pants: You can get this for only $28.99 here and it’s normally $95.00 at Macys. 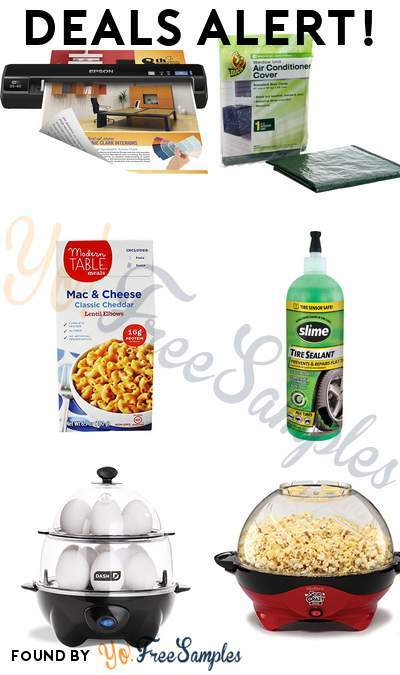 75% OFF Tools of the Trade Basics Nonstick 5 Qt. Covered Chef’s Pan, Created for Macy’s: You can get this for only $14.99 here and it’s normally $59.99 at Macys. 57% OFF Tommy Hilfiger Little Boys Jason Plaid Shirt: You can get this for only $15.99 here and it’s normally $37.50 at Macys. 70% OFF Whim by Martha Stewart Collection Whim by Martha Stewart Collection Novelty Print Twin 3-pc Sheet Set, 200 Thread Count 100% Cotton Percale, Created for Macy’s: You can get this for only $14.99 here and it’s normally $50.00 at Macys. 81% OFF Marc New York Carry A Ton Duffel: You can get this for only $7.49 here and it’s normally $40.00 at Macys. 76% OFF Calvin Klein Men’s Colorblocked Stripe Pullover: You can get this for only $21.16 here and it’s normally $89.50 at Macys. 82% OFF Weatherproof Vintage Men’s 1/4 Zip Sweater Pullover: You can get this for only $11.96 here and it’s normally $70.00 at Macys. 68% OFF Gibson White Elements Lexington 42-Pc. Dinnerware Set, Service for 6, Created for Macy’s: You can get this for only $37.99 here and it’s normally $120.00 at Macys. 52% OFF Style & Co Kelimae Scrunched Boots, Created For Macy’s: You can get this for only $23.93 here and it’s normally $49.99 at Macys. 76% OFF Dockers Men’s Slim-Fit Logo Sweatshirt: You can get this for only $18.93 here and it’s normally $79.50 at Macys. 84% OFF Club Room Men’s Tie Dye Hoodie, Created for Macy’s: You can get this for only $11.06 here and it’s normally $69.50 at Macys. 71% OFF Tag Legacy 4-Pc. Luggage Set: You can get this for only $84.99 here and it’s normally $300.00 at Macys. 70% OFF The Cellar Whiteware Coupe Pasta Bowl, Created for Macy’s: You can get this for only $4.99 here and it’s normally $17.00 at Macys. 65% OFF The Cellar Acacia Wood 5 Piece Salad Set, Created for Macy’s: You can get this for only $31.99 here and it’s normally $92.00 at Macys. 74% OFF Lenox Butterfly Meadow 18 Piece Set, Service for 6: You can get this for only $99.99 here and it’s normally $390.00 at Macys. 81% OFF Tag Matrix 2 28″ Hardside Expandable Spinner Suitcase, Created for Macy’s: You can get this for only $54.99 here and it’s normally $300.00 at Macys. 60% OFF Giani Bernini Pebble Leather Crossbody, Created for Macy’s: You can get this for only $59.80 here and it’s normally $149.50 at Macys. 80% OFF Premier Comfort Reversible Micro Velvet and Sherpa Down Alternative Twin Comforter, Hypoallergenic: You can get this for only $27.99 here and it’s normally $140.00 at Macys. 50% OFF Home Decorators Collection Jamison Black Bar with Expandable Storage: You can get this for only $299.50 here and it’s normally $599.00 at Home Depot. 43% OFF Godinger 77-Piece Stainless Steel Flatware Set: You can get this for only $49.99 here and it’s normally $87.83 at Home Depot. 46% OFF Glacier Bay Brenner Commercial Style Single-Handle Pull-Down Sprayer Kitchen Faucet in Chrome Finish: You can get this for only $74.88 here and it’s normally $139.00 at Home Depot. 70% OFF Glacier Bay All-in-One Undermount Stainless Steel 24 in. Single Bowl Kitchen Sink: You can get this for only $47.70 here and it’s normally $159.00 at Home Depot. 44% OFF Sun Joe 1/2 in. Dia x 100 ft. Heavy-Duty Spiral Constructed Stainless Steel Metal Garden Hose: You can get this for only $39.99 here and it’s normally $71.88 at Home Depot. 45% OFF Amped Wireless Wi-Fi Alexa Enabled Smart Plug: You can get this for only $9.99 here and it’s normally $18.48 at Home Depot. 43% OFF Electro Boss 5-Tray Thermostat Adjustable Baja Pro Food Dehydrator: You can get this for only $35.88 here and it’s normally $63.97 at Home Depot. 59% OFF Carhartt Men’s Regular Large Realtree Xtra Cotton Shirt Jacket: You can get this for only $34.00 here and it’s normally $84.99 at Home Depot. 50% OFF Men’s Under Armour Performance Fleece Half-Zip Pullover: You can get this for only $27.50 here and it’s normally $55.00 at Kohls. 70% OFF Men’s FILA SPORT GOLF Fitted Pro Core Performance Polo: You can get this for only $9.00 here and it’s normally $30.00 at Kohls. 75% OFF Accuform MBR882 Motivational Safety Banner, Legend”PRIDE IN SAFETY! OUR GOAL: NO ACCIDENTS” with American Flag Graphic, 28″ Length x 8-ft Width, Reinforced Vinyl with Metal Grommets: You can get this for only $22.07 here and it’s normally $89.71 at Amazon. 90% OFF Lara Croft and the Temple of Osiris: You can get this for only $2.95 here and it’s normally $29.99 at Amazon.